Cho, Y. (2013). Bioassay to Screen Pathogenesis-associated Genes in Alternaria brassicicola. Bio-protocol 3(16): e873. DOI: 10.21769/BioProtoc.873. Cho, Y., Srivastava, A., Ohm, R. A., Lawrence, C. B., Wang, K. H., Grigoriev, I. V. and Marahatta, S. P. (2012). Transcription factor Amr1 induces melanin biosynthesis and suppresses virulence in Alternaria brassicicola. 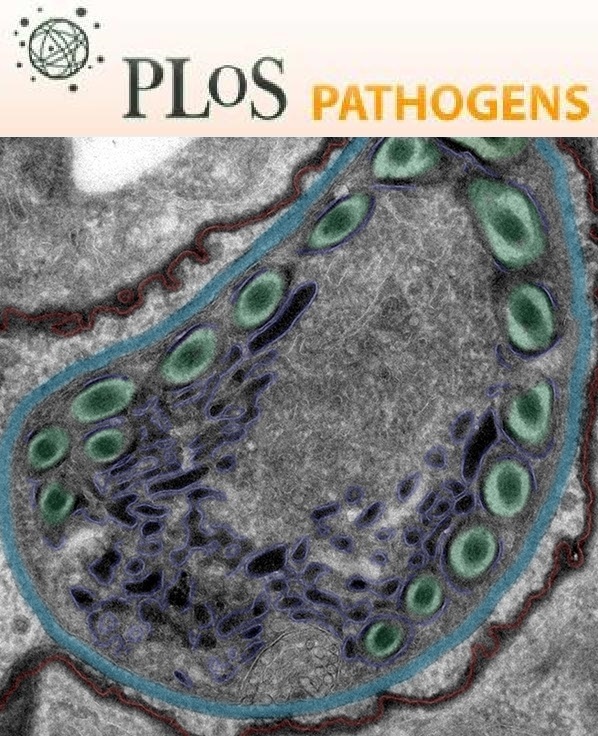 PLoS Pathog 8(10): e1002974. Alternaria brassicicola is a necrotrophic fungus that causes black spot disease of most plants in the Brassicaceae, including cultivated Brassica species and weedy Arabidopsis species. Since the concept of transformation constructs of linear minimal elements was developed (Cho et al., 2006), we have produced over 200 strains of loss-of-function mutants with an aid of selectable marker genes. Pathogenicity assays are a time-consuming step in screening pathogenesis-associated genes among targeted gene mutants. Here we describe a method for pathogenesis assays of A. brassicicola. Using this method, we have discovered pathogenesis-associated genes and were able to further characterize the functions of selected gene (Cho et al., 2013; Cho et al., 2012; Srivastava et al., 2012). Fill a plastic pot (3 inch x 3 inch) with a mix of half local soil and half commercially available potting mix; pack the soil by pushing on the top by hand or using a flat plate. Note: Do not autoclave soil mix. Place 24 pots containing the soil in a plastic tray with small drainage holes in the bottom. Soak the soil with tap water by gently sprinkling it with water. Gentle sprinkling will keep the soil from spilling out of the pot. Let excess water drain from the soil for about 2 h.
Use a stick to make a hole about 1-cm deep in the soil of each pot. Put one seed of commercially available (e.g., Jonny’s, Winslow, ME) green cabbage (Brassica oleracea) in the hole and cover with soil. For Arabidopsis thaliana, broadcast several seeds on top of the soil and spray water later; gradually remove all but one plant from each pot during growth. Place the pots at room temperature under fluorescence light with a 14-h light, 10-h dark cycle for the green cabbage, and a 10-h light, 14-h dark cycle for Arabidopsis. The seeds will take about one week to germinate at room temperature. If the tray is covered with semi-transparent plastic cover, they germinate faster. Grow the plants for 5 to 6 weeks under the same conditions. Keep the soil moist by adding tap water when the soil surface becomes dry. Note: Do not overwater or leave the pot sitting in a water-filled tray. (Optional) If seedlings 4 weeks old or older show symptoms of nitrogen deficiency (yellowing of older leaves), dissolve 1 teaspoon of Miracle-Gro in 1 gallon of water. Pour about 70 ml of the solution or enough amounts to soak the soil in each of 48 pots. Similar nitrogen-based fertilizer would have similar effects. A-1 (Option 1) Detached leaf assay. Bioassays are more convenient with detached leaves than whole plants. It is easy to inoculate and measure the size of lesions on detached leaves. In addition, this method requires less space than the other method. Select 6-week-old cabbage plants of similar heights and with similar-sized leaves for each assay. Harvest healthy leaves from the 4th to 8th position on the stem, counting from the bottom. Place two disks of paper towel covering the bottom of a Petri dish 150 mm diameter x 15 mm high. Soak the disks with deionized water, creating a mini-moist chamber. Remove the waxy surface of each leaf by misting with water from a spray bottle. Do not touch the surface of the leaves with bare hands, which results in bigger lesions than usual for the wild type. In addition, nonpathogenic mutants of a gene became pathogenic in our previous work. Place leaves in the mini-moist chambers and randomly arrange them on a laboratory bench for the assay. After inoculation, cover the Petri dish with a lid to keep the relative humidity close to 100%. Note: This assay can be performed with various cabbage species and varieties. Leaves of Arabidopsis thaliana, however, are too thin for this procedure. A-2 (Option 2) Whole plant assay. I did not encounter any mutants that showed significant differences in the results of bioassays between detached leaves and whole plants. I, however, anticipate identifying genes with mutants showing different results. I recommend to perform assays three times on detached leaves and twice on whole plants. Line a semi-transparent plastic trough (90 cm x 50 cm x 50 cm or similar size) with water-soaked paper towels and mist the inside wall of the trough with water. Place potted plants in the plastic trough. Any Brassica species or ecotypes of A. thaliana are suitable for whole plant assays. After inoculation, seal the troughs and plants with plastic wrap to keep the relative humidity close to 100%. Plastic wrap can be purchased at most grocery stores. Keep the trough and plants at room temperature for about a week with periodic observation of lesion development. Perform two rounds of single-spore isolation for each strain of A. brassicicola. Harvest conidia from the second single-spore isolation in ~3 ml of 20% glycerol. Dispense 50 μl of the glycerol plus conidia (glycerol stock of conidia) into 1.5 ml aliquot tubes. Freeze and maintain the glycerol stock at -80 °C until use. Harvest conidia from PDA plates in a biosafety cabinet to protect researchers and prevent environmental contamination. Transfer 10 μl of the glycerol stock to a fresh PDA plate with an appropriate selection reagent in a biosafety cabinet. Incubate plates in the dark for 5 days at 25 °C in a growth chamber. This can be done in a light-tight cardboard box at room temperature. In a biosafety cabinet, add 5 ml of sterile water to each plate and gently rub the conidial mat with a sterilized glass hockey stick. If the conidia are released gently, aerial hyphae will not contaminate the conidial suspension and you can proceed directly to the next step. If the suspension contains too many hyphal fragments or chains or clumps of conidia, however, it will be necessary to filter the suspension through a layer of Miracloth or cheese cloth until most are removed. A funnel can be used at this step. Transfer the 3-5 ml of conidia suspended in water to a 50 ml conical tube with a cap. Fill the tube with sterile water. Centrifuge the tube for 5 min at 3,000 rpm. If a centrifuge is not available, leave the tube on the bench until conidia precipitate. It takes about 15 min. Replace the water with 50 ml of fresh sterile water and centrifuge for 5 min at 3,000 rpm. Floating water can be removed either by draining or pipetting. The tube can be filled by carefully pouring 50 ml of water. Count the conidia under a microscope using a hemocytometer. Always agitate the conidial suspension rigorously before loading the hemocytometer. Adjust the conidial concentration to 2 x 105 in 1 ml water. Count the number of spores to confirm the concentration. This is a time-consuming process and requires experience. An approximate spore count is usually sufficient for identifying genes that are required for pathogenicity or greatly affect virulence. Accurate quantification of virulence changes requires accurate spore counting. Pathogenicity factor mutants are normally nonpathogenic regardless the numbers of conidia. Directly inoculate the right side of each leaf with conidial suspension (2,000 conidia in 10 μl of water) of wild-type A. brassicicola and the left side of the same leaf with 2,000 conidia of the experimental mutant strain in 10 μl water. This method aligns the control and experimental specimen in a symmetrical manner on both sides of the central vein. It is important to agitate the inoculum frequently or the internal variation in lesion size will increase. Do not make wound before inoculation. Nine leaves originated in three plants are sufficient to produce statistically robust results. I recommend at least three rounds of bioassay to get reliable and consistent results. Plant conditions and age of conidia are important factors that affect the result of assays. Spray the inside of the Petri dish lid with water and cover the dish. Incubate the whole plants in the plastic trough or detached leaves Petri dish inoculated with fungal strains for 5 days at room temperature. Keep the light and dark cycle similar to the one used for plant growth. Measure lesion diameters at 5 days postinoculation. Calculate the virulence of each mutant relative to the wild type using the formula (∑(Dmi-Dwi)/∑(Dwi)) x 100, where Dwi is the lesion diameter created by the wild type for the ith sample and Dmi is the lesion diameter created by the mutant for the ith sample. Analyze lesion sizes among the wild type and mutants using various statistics methods, such as the Student t-test, two-way analysis of variance (ANOVA) in Excel or in the Statistical Analysis System (SAS Institute, Cary, NC). This protocol is adapted from previously published papers (Cho et al., 2013; Cho et al., 2012; Srivastava et al., 2012). Cho, Y., Ohm, R. A., Grigoriev, I. V. and Srivastava, A. (2013). Fungal-specific transcription factor AbPf2 activates pathogenicity in Alternaria brassicicola. Plant J 75(3): 498-514. Cho, Y., Davis, J. W., Kim, K. H., Wang, J., Sun, Q. H., Cramer, R. A., Jr. and Lawrence, C. B. (2006). A high throughput targeted gene disruption method for Alternaria brassicicola functional genomics using linear minimal element (LME) constructs. Mol Plant Microbe Interact 19(1): 7-15. Srivastava, A., Ohm, R. A., Oxiles, L., Brooks, F., Lawrence, C. B., Grigoriev, I. V. and Cho, Y. (2012). A zinc-finger-family transcription factor, AbVf19, is required for the induction of a gene subset important for virulence in Alternaria brassicicola. Mol Plant Microbe Interact 25(4): 443-452.